The Higher Education Academy (HEA) Professional Standards Framework (PSF) underpins the ANU Educational Fellowship Scheme (EFS). 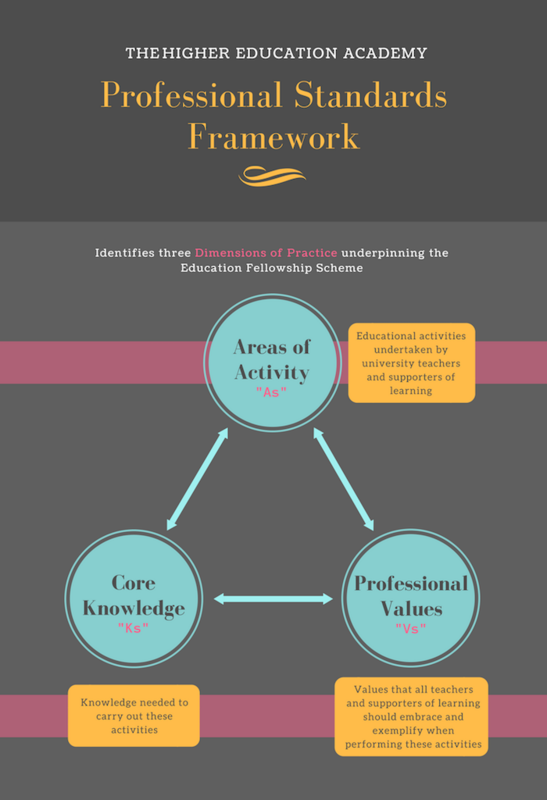 In a nutshell, the framework consists of three dimensions of practice around which you will shape your application. 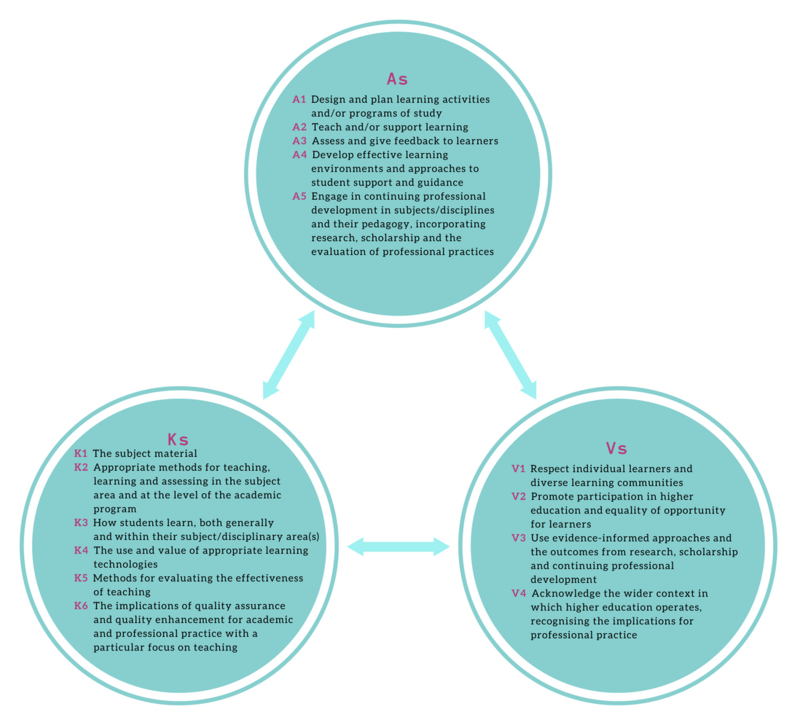 The Areas of Activity (As), Core Knowledge (Ks), and Professional Values (Vs) are summarised below. Depending on the HEA Fellowship category you are applying for, you will be asked to address some or all of these As, Ks and Vs. For more information, click on Apply.